Bouillon is by far my mother’s favorite food. She once told me that she could eat it all day every day (I don’t share that sentiment). I know for sure if she could have anything for her last meal it would be this one (well this and Haitian hot chocolate). The wonderful thing about bouillon is that you can be as creative or simple as you want. Personally, I love my bouillon with a light broth, and very few root vegetable, and lots of meat and dumplings. 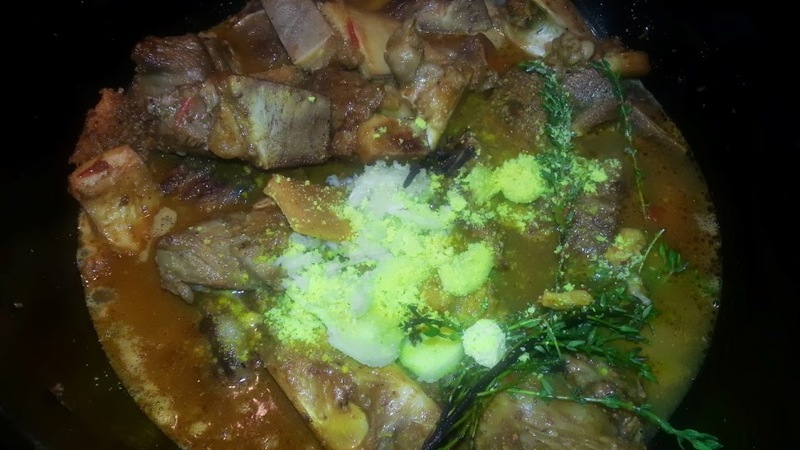 Although bouillon is traditionally made with red meat, poultry can be substituted if you don’t eat read meat. 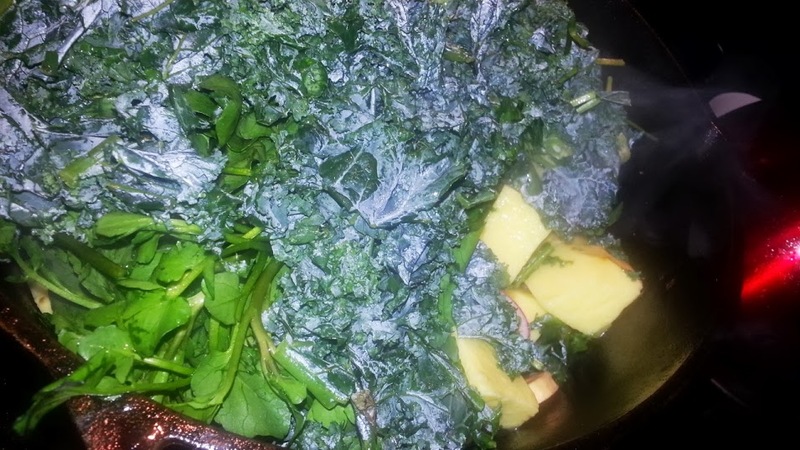 Note: You can add other vegetables such as carrots, green plantains, malanga etc. Thoroughly clean and season the meat with epise. Allow to marinate for at least and hour. Brown the meat in a deep pot. Once all the meat is browned add enough water to reach nearly cover the meat. Also add in crushed maggi, mashed garlic, ginger, cloves, thyme. 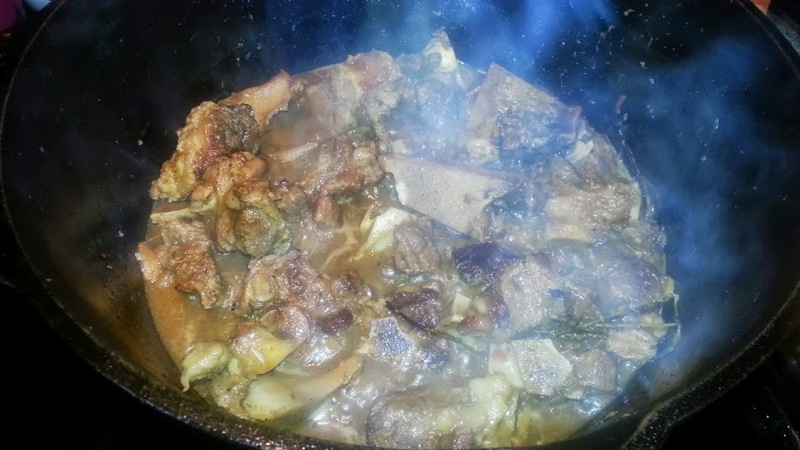 Allow the meat to cook until it is almost done (but not overcooked, otherwise the meat will be mush in the bouillon). Once the meat is cooked, add the vegetables on top of the meat (there shouldn’t be too much water in the pot at this point). 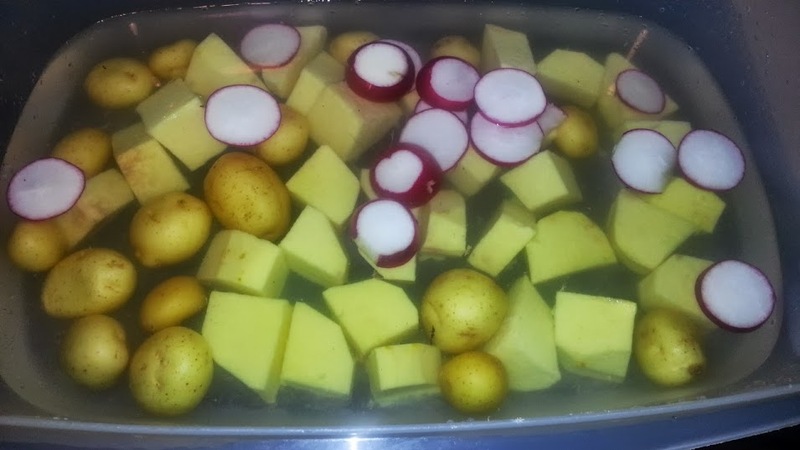 If the water is not enough to cook the vegetables add a bit more. The point is to allow the flavors to get in the vegetables. When you can pierce the yam with a fork (there should be a bit of resistance to it), add 8 cups of water to the meat and vegetable mixture. Note: if you find that root vegetables are already very soft, remove them from the pot and continue). Add salt/adobo to taste, plus the juice of 1 lime. Allow to cook on medium heat for at least 45 minutes to allow all the flavors to blend. At this point you can add your dumplings (dumplings -> flour, water, salt, roll into elongated pieces with your hands). Cover and simmer for 30 minutes (until dumplings are cooked). Serve while hot. 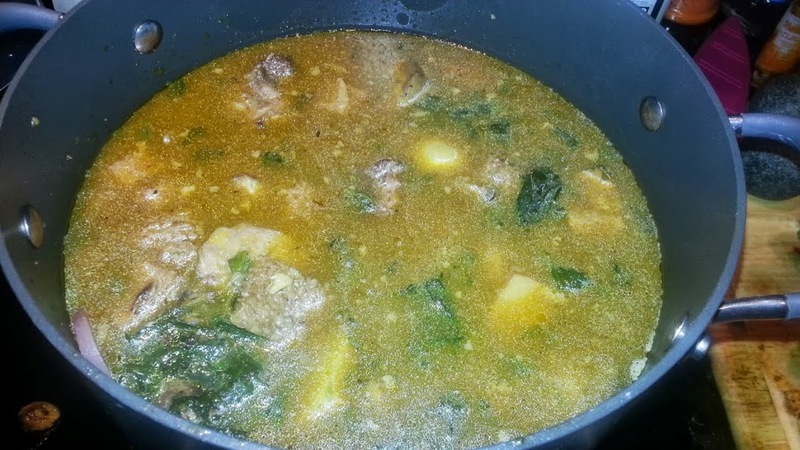 I have never in my entire life heard of Haitian cooking bouillion with lamb, kale, ginger or radish in it. It actually looks ridiculous! there was also a different recipe pitimi with some other meat with Worcestershire sauce. 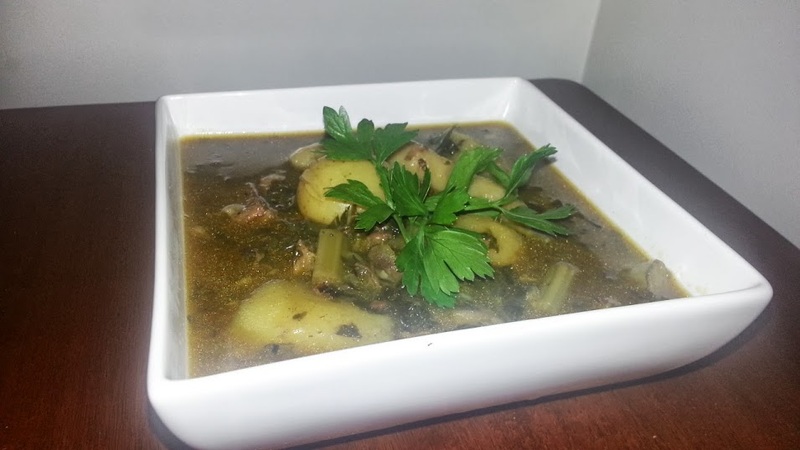 keep the Haitian cooking with the same ingredients! This is comment absolutely ridiculous. Anyone familiar with Haitian cooking or cooking in general will understand that things are fluid. The beauty of cooking is that you can experiment. Bouillon just means stew! While living in Haiti I’ve had bouillon with Turkey, bouillon with goat, bouillon with chicken and any other type of meat you can think of. Furthermore, if anyone knows anything about bouillon you would know that vegetables are a very important component of the dish. What vegetables you add is up to you. 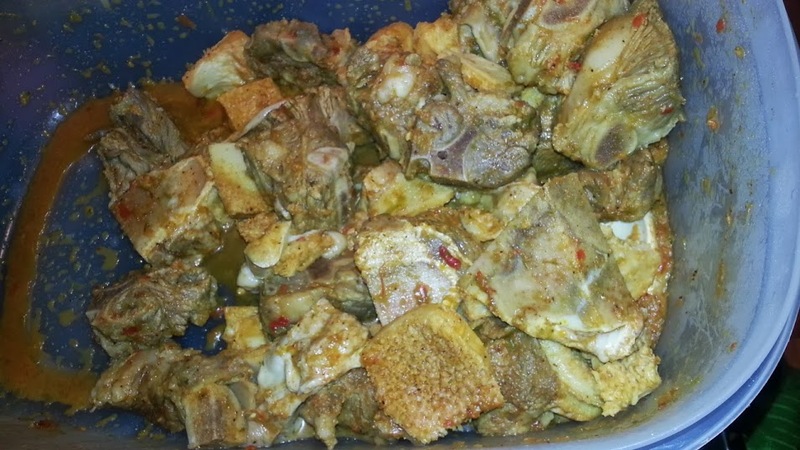 Lastly, Ginger is often added to the epise that is used to marinate the meat. Haitian cuisine isn’t a stagnant thing that never evolves.